Breakfast game strong! 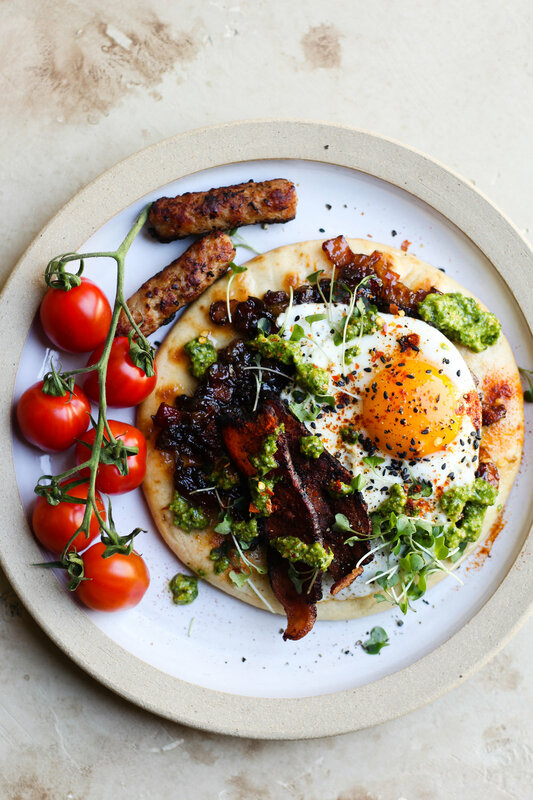 Grilled pitas with balsamic bacon jam, pesto and sausage links. You can def make the jam and pesto ahead of time which allows for less than a 20 min prep for a dream come true brunch. I topped the recipe off with more crispy bacon because why not. What’s really special about this bacon jam is that we cubed it in large chunks so you get a big bite and crunch from both the bacon and the onions all at once, instead of a creamy “spread”. 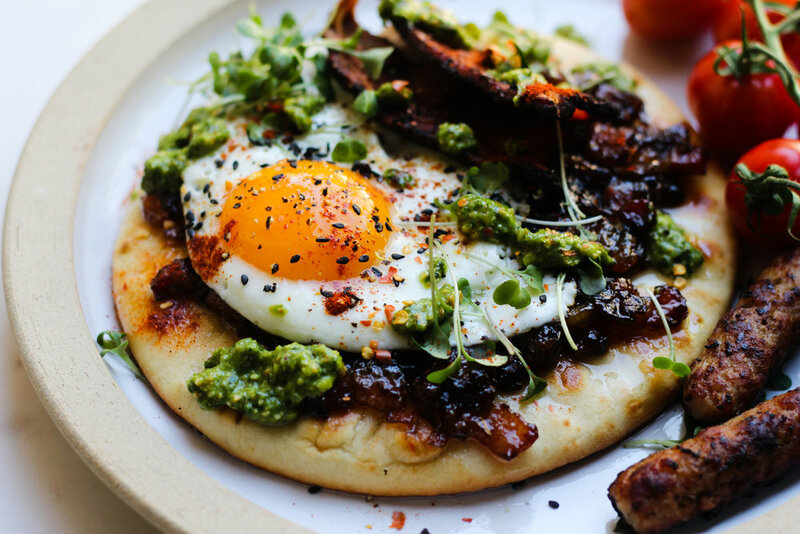 The freshness of the pesto works perfectly well with the jam and the fried egg on top. Enjoy & read on for the full recipe! Start by dicing your onions and cubing 4 strips of bacon. Heat a pan and add your bacon until it cooks down and gets translucent, about 10-15 minutes. Add in your diced onion and let the bacon fat, bacon and onion sauté for about 20 minutes on medium to low heat. While that’s sitting, make your pesto. Throw all ingredients in the blender and place in the fridge until rest of recipe is ready. Make your sausage and strips of bacon for more crunch on top. Once your bacon and onions are cooked down and charred, add in 2 cloves of chopped garlic, cider vinegar, sugar, balsamic and salt and pepper to taste and put burner on low heat. Let sit and reduce for about 30-40 minutes, stirring occasionally, every 3-5 minutes. For the pita, you can either fry it with oil and place in the oven or toaster until grilled and toasty. While that’s toasting, make your fried egg and grill up your Farmer John Organic Sausages. Now when everything is ready, assemble! 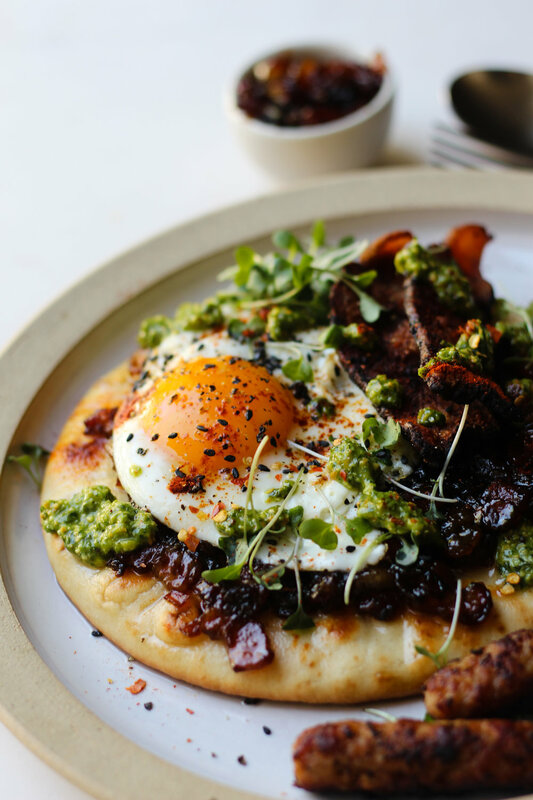 Place the finished bacon jam on top of your grilled pita, then your fried egg, crispy bacon strips, pesto and top with black sesame seeds and micro greens. On the side of the pita, include your sausages and fresh tomatoes. Enjoy! 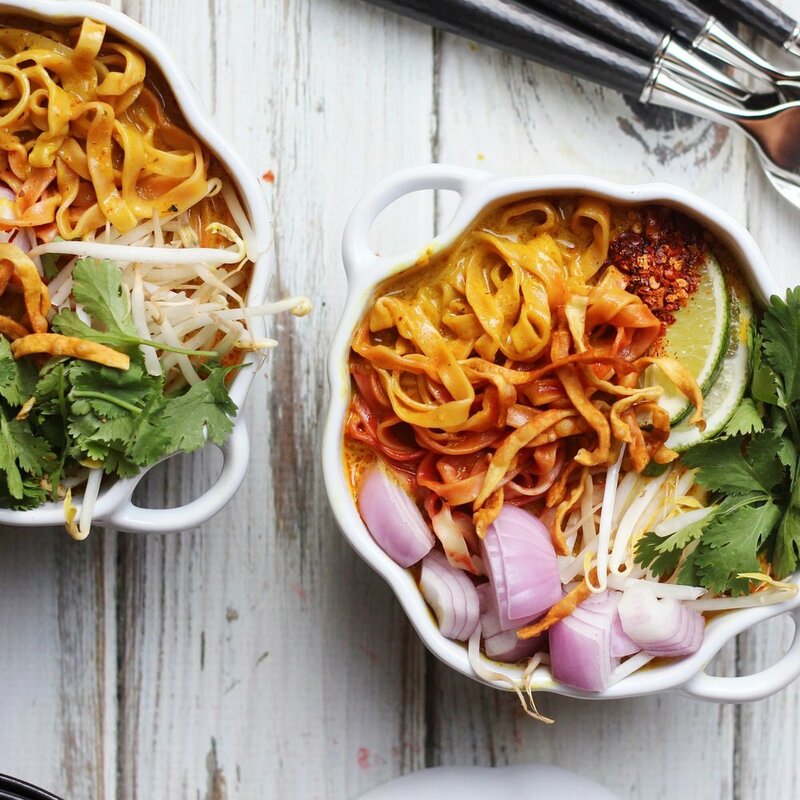 Easy Recipes to Start off 2018!